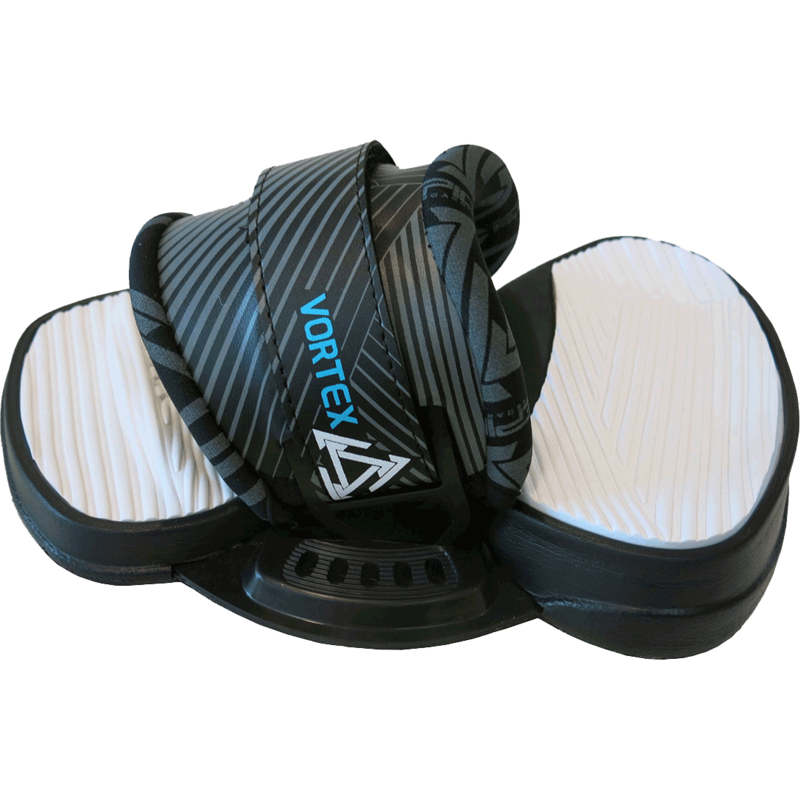 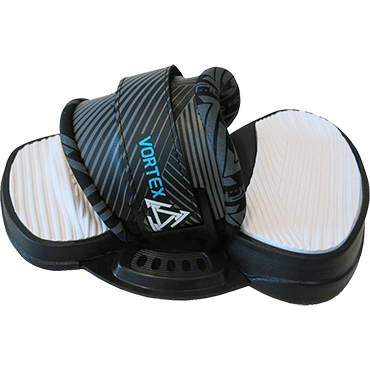 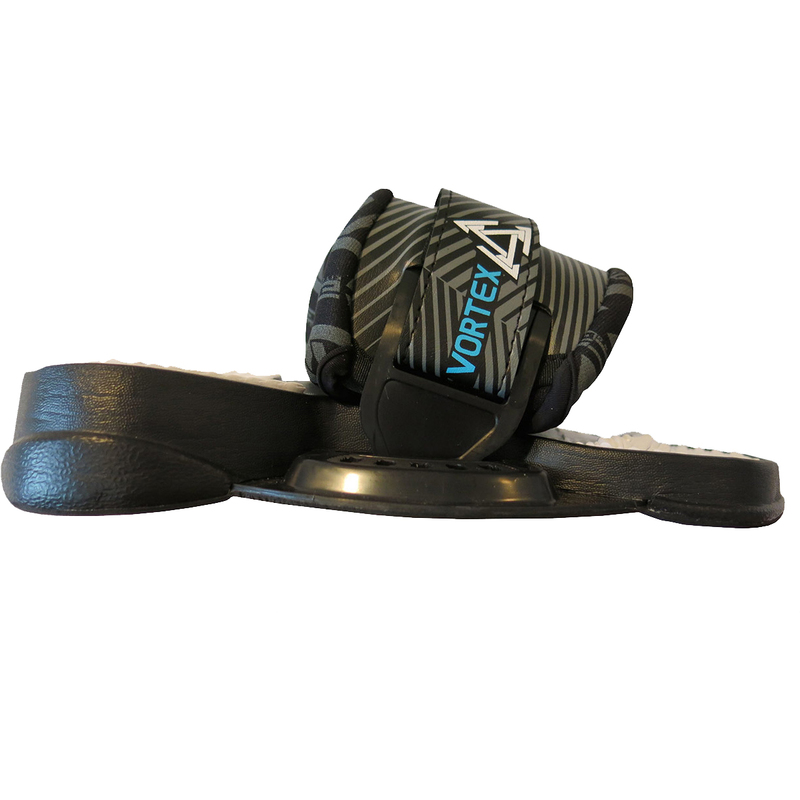 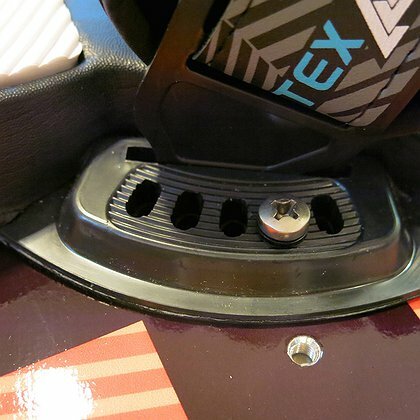 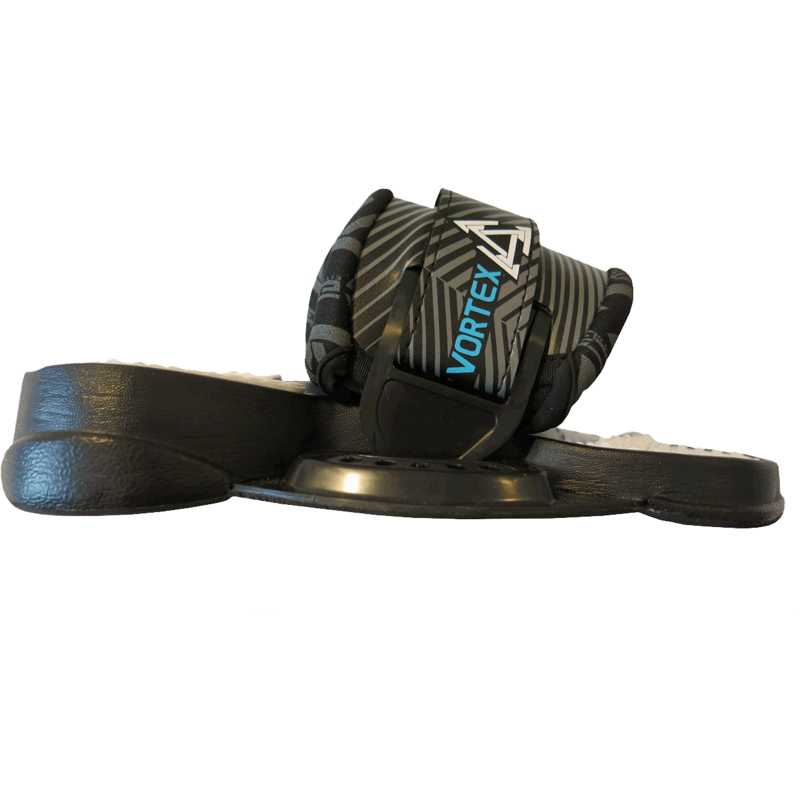 Our new Vortex bindings offer superior comfort, control and versatility. 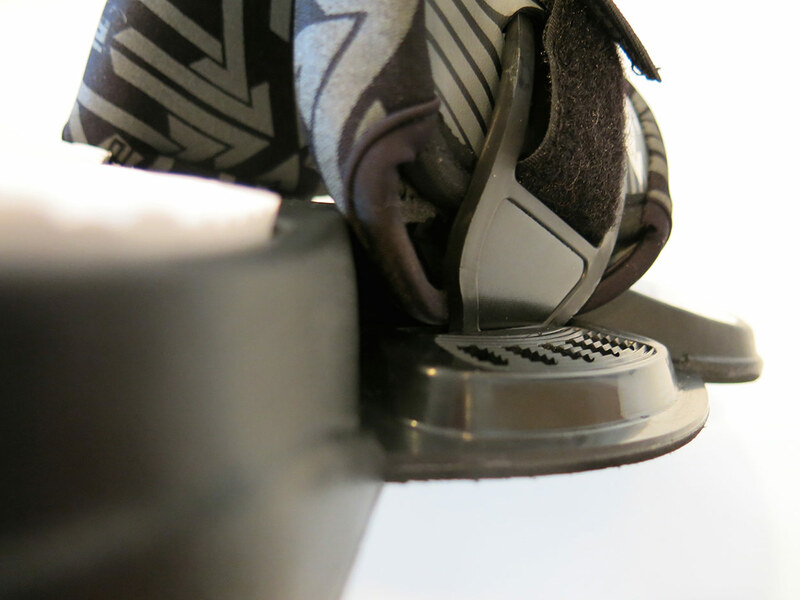 Rider comfort has been considered through every facet of the design process. 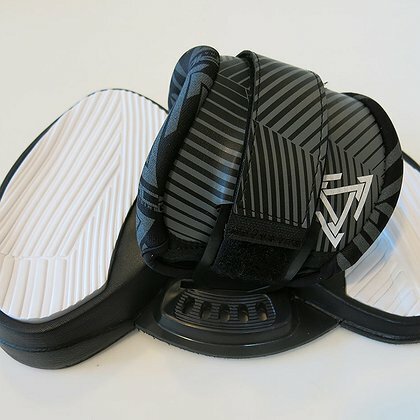 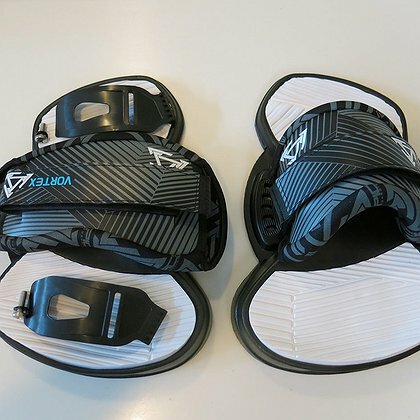 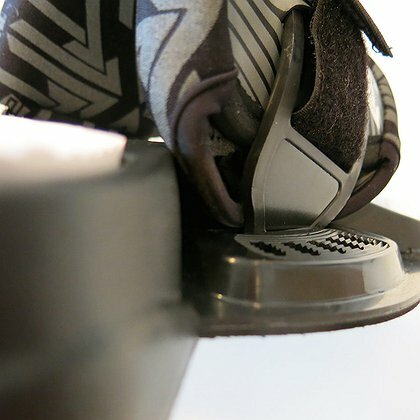 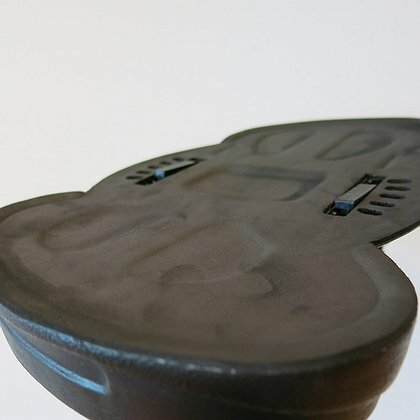 Generous foot pads offer a highly contoured platform for easy water drainage for increased grip while toe ridges provide a connected feel. 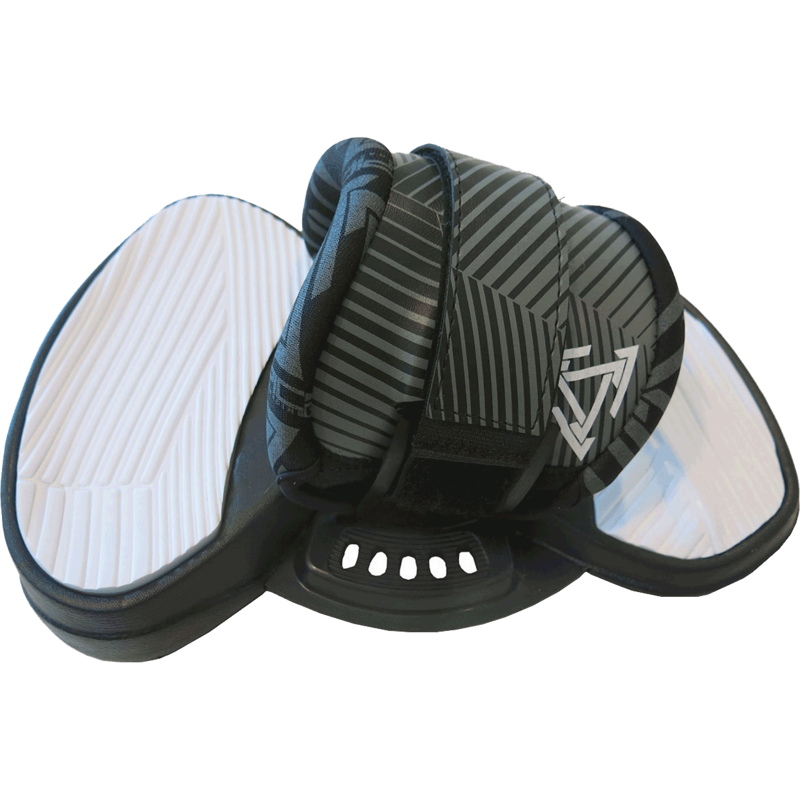 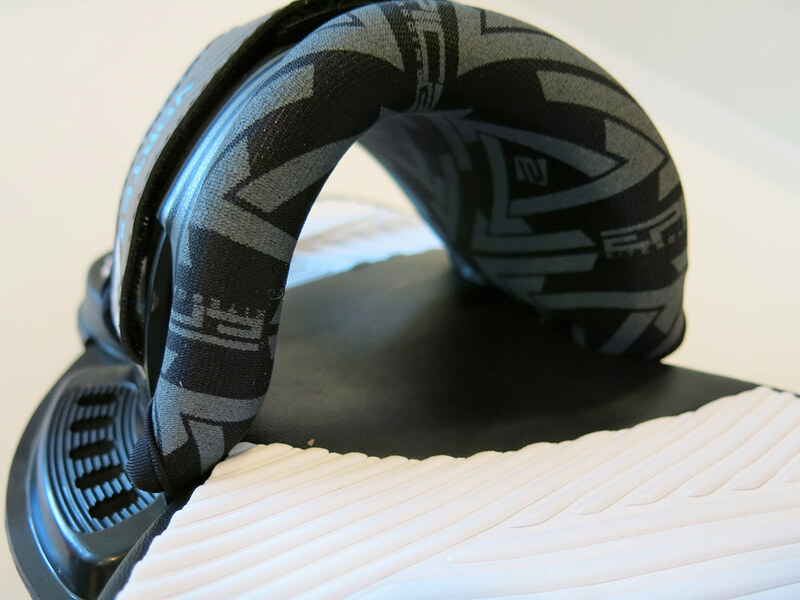 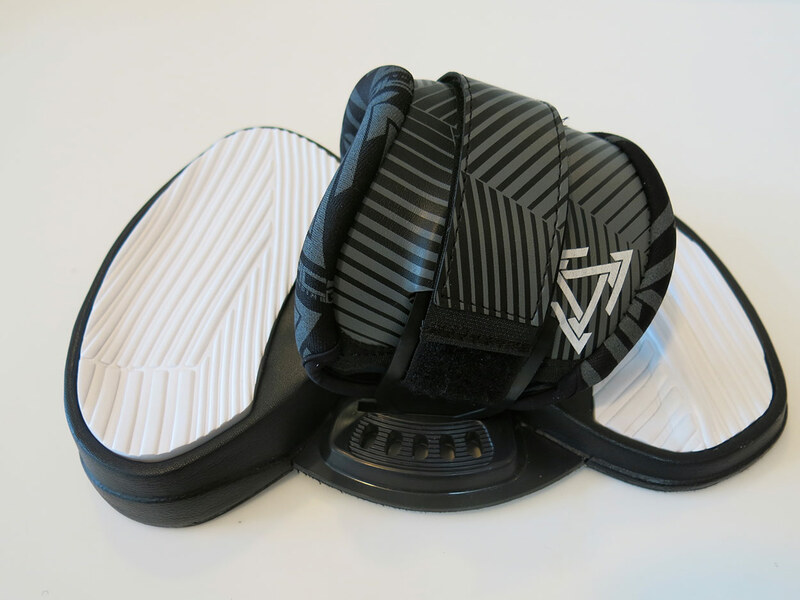 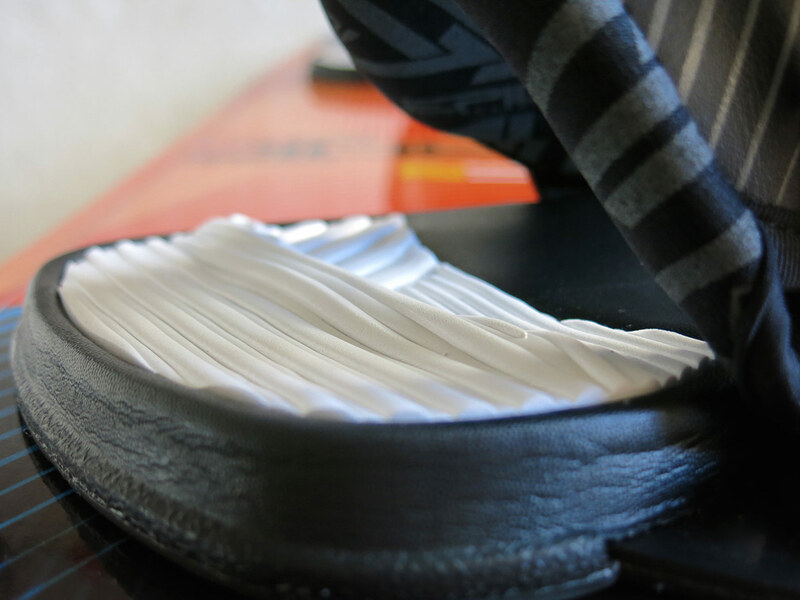 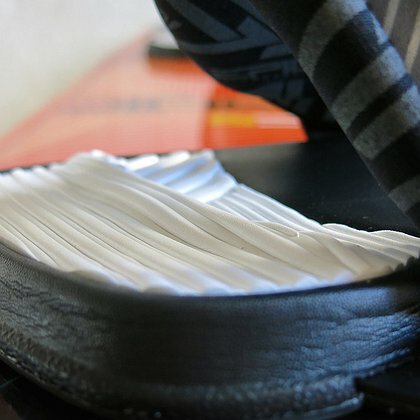 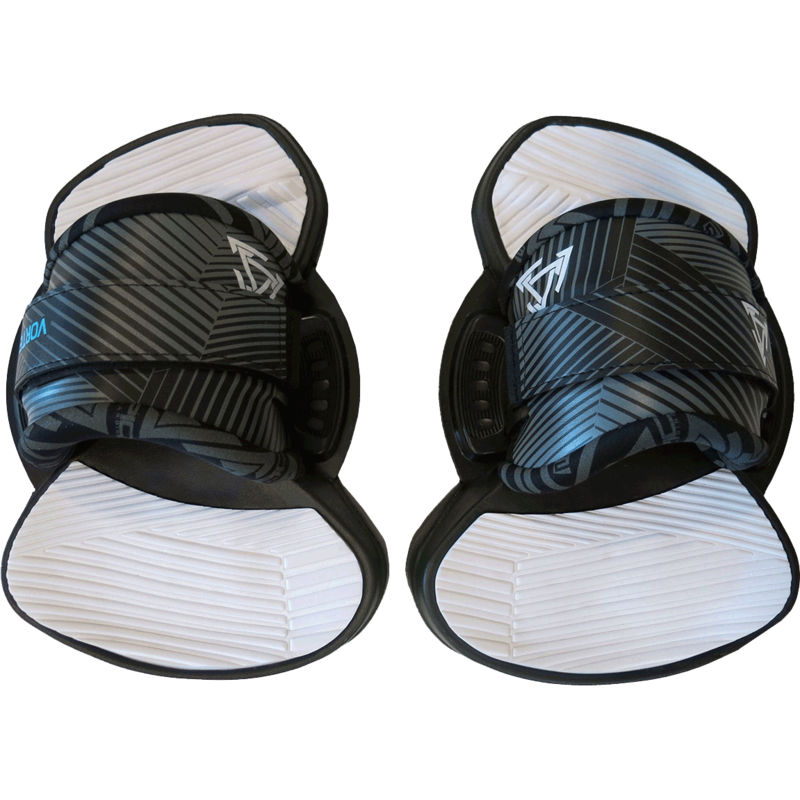 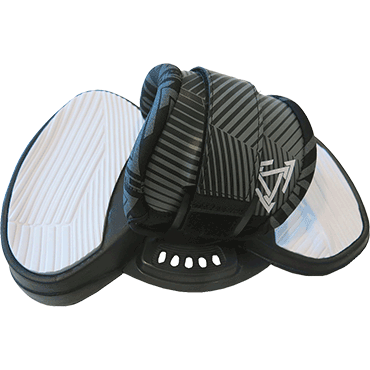 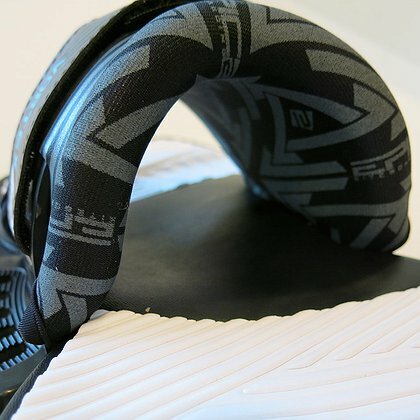 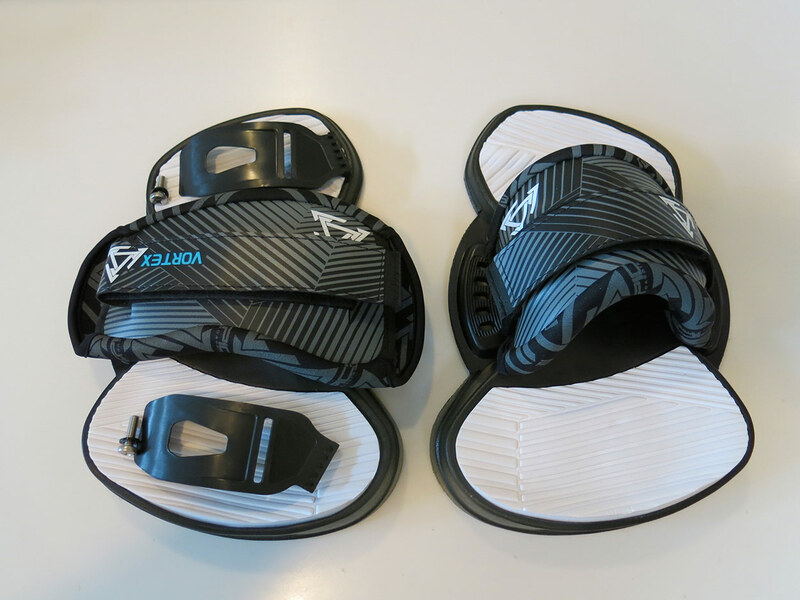 The pads provide substantial cushion in harsh conditions or tough landings. 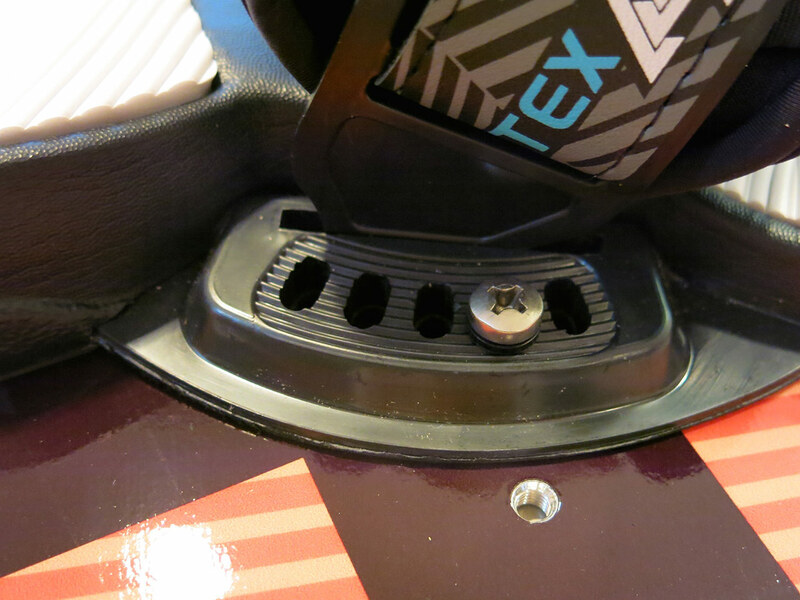 There are now 5 stance settings to accommodate rider size and footing positions. 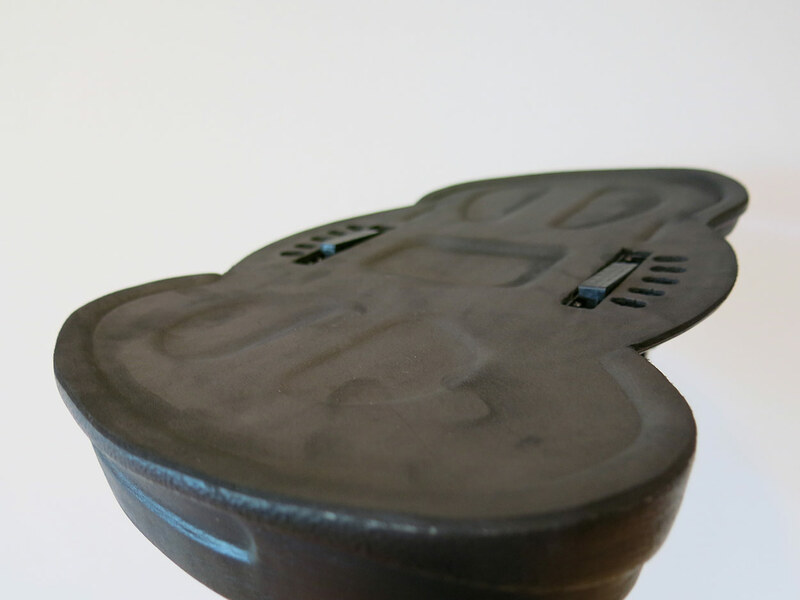 To provide even more options, anchors will now allow for greater stance width versatility. The straps are thick and well padded for comfort and durability and allow for significant adjustments to accommodate a variety of foot sizes and tightness preferences. 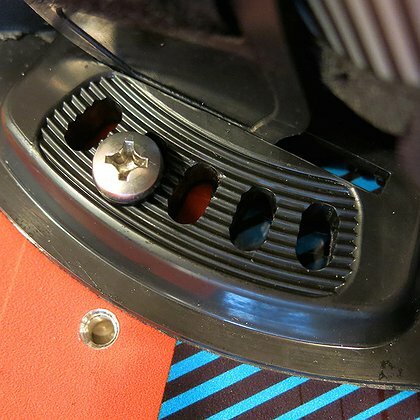 Further adjustments in strap position can be made by sliding the anchors either forward or back to give you the perfect fit. 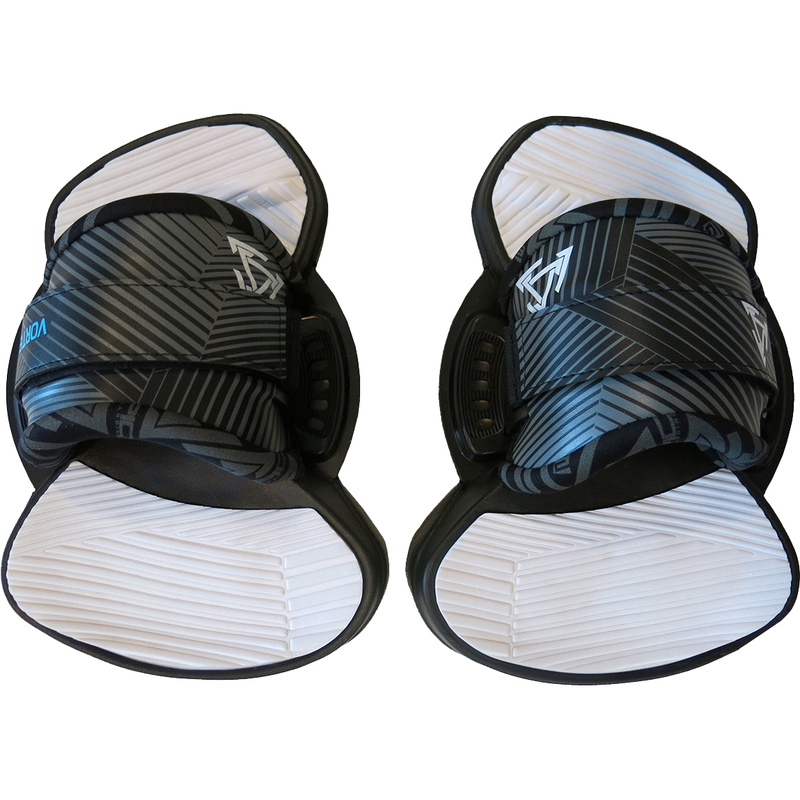 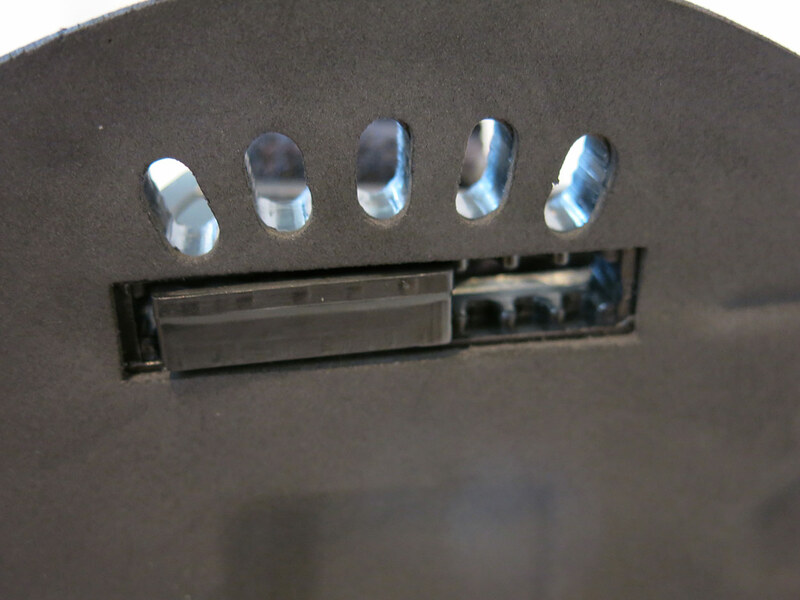 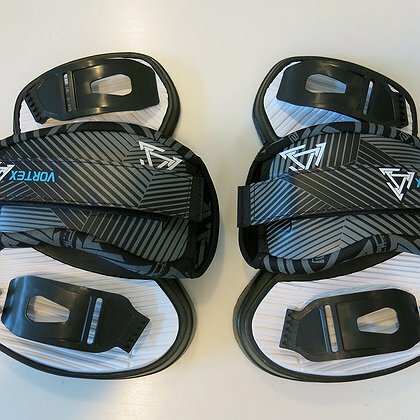 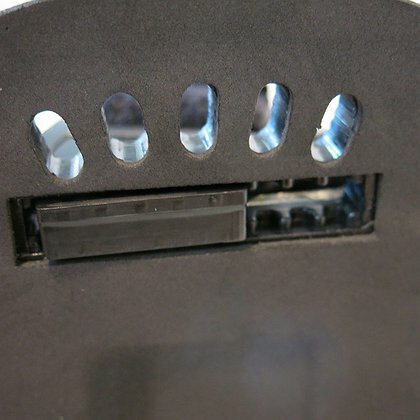 The binding package contains 2 foot pads, 2 straps, 4 screws, anchors and washers. 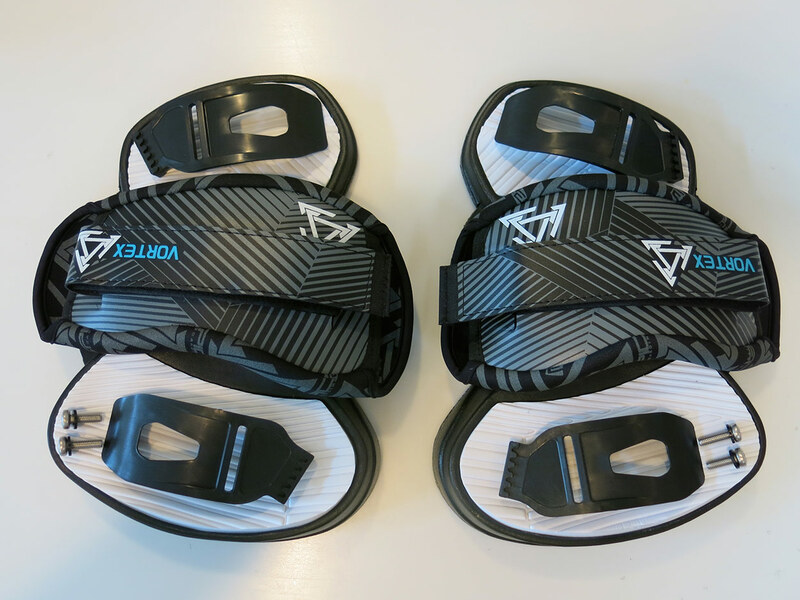 This can be assembled in just a few minutes but if you’d like Dimitri to walk you through it, please view the video series.